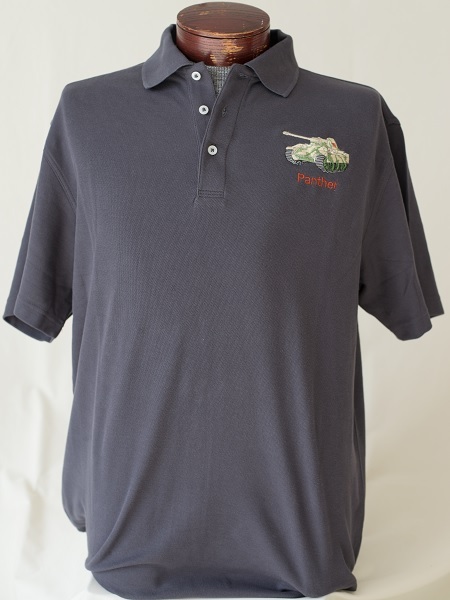 The German Panther Tank Embroidered Sport Shirt is a three button collard cotton shirt in grey. 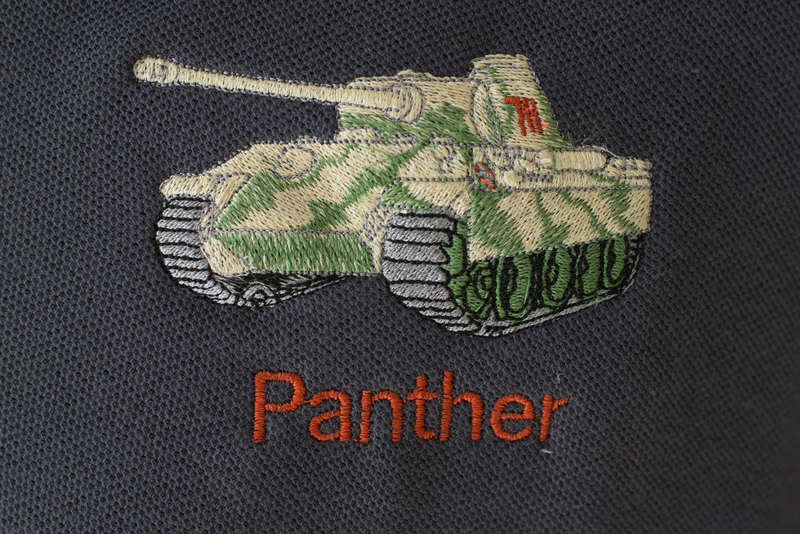 Full color Panther Tank embroidered on left chest. This shirt is also available in polyester, and also in various colors. Please specify which color and fabric by e-mail.